We finally made it back to the Schulman Grove and the oldest trees on Earth! Five years ago we drove by here but discovered that the visitor center was closed for construction, so we continued onward to the distant Patriarch Grove and checked out those trees instead. And, yes, they were fun, and quite old, but nowhere near as old as the trees down here. 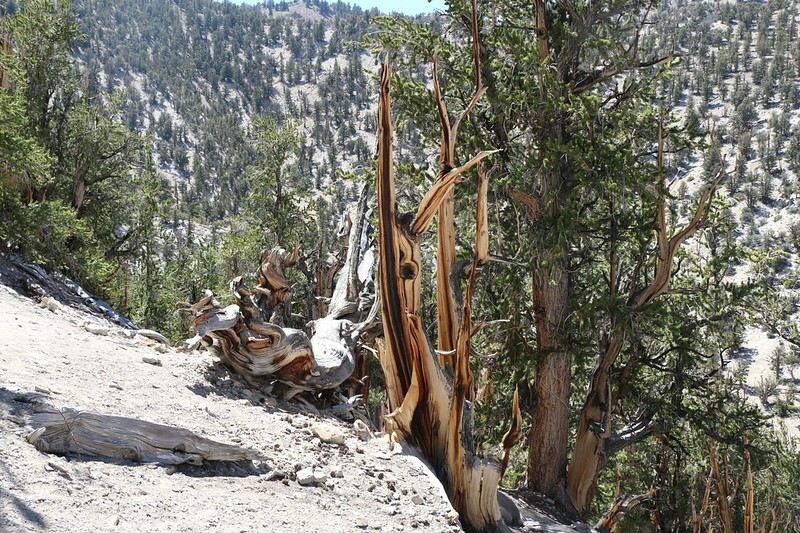 In fact, one of the trees in the Schulman Grove was determined to be over 5000 years old! And we wanted to check it out. 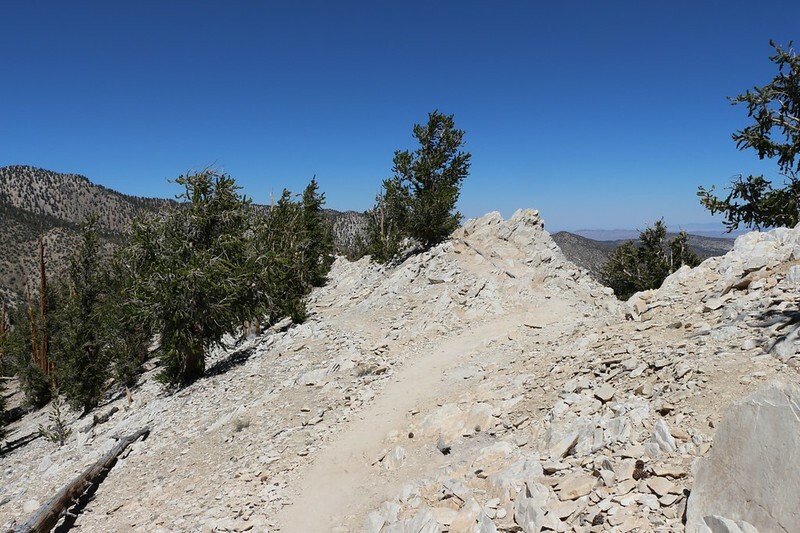 So we made a special trip out here for a dayhike after our multi-night hike in Onion Valley. 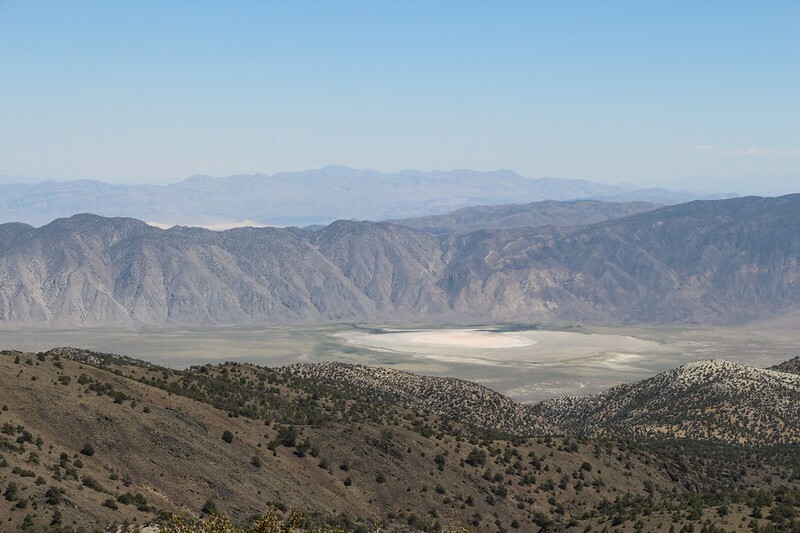 We drove north from Independence to the town of Big Pine, then hung a right on Highway 168 and a left on White Mountain Road. As we ascended the endlessly-switchbacking road, there were plenty of views to be had of the eastern Sierra to the west. It was a perfectly sunny day and the visibility was good. Meanwhile, Vicki, doing the driving, was in awe of all the rock formations along the road. 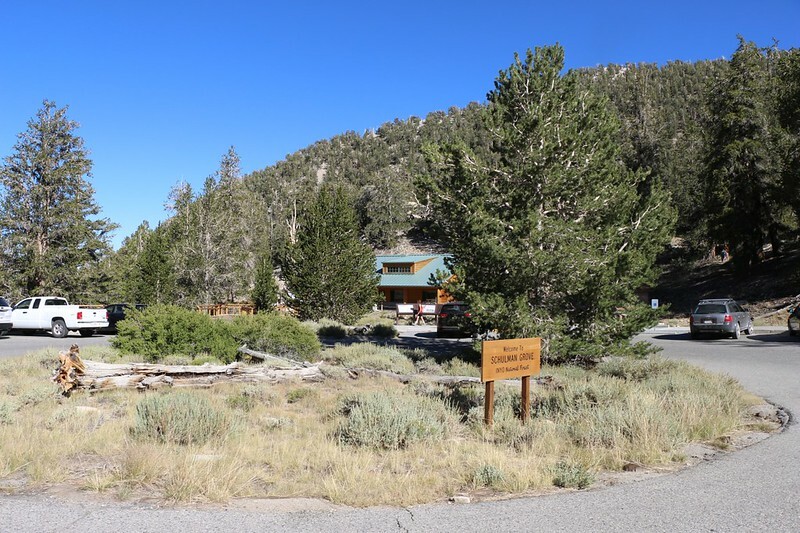 It wasn’t until we climbed to ten thousand feet elevation that we arrived at the Schulman Grove Visitors Center. We parked the car and grabbed our day-pack. Then we checked out the brand new Visitor Center. Not surprisingly, the builders did a great job. Well worth waiting for. 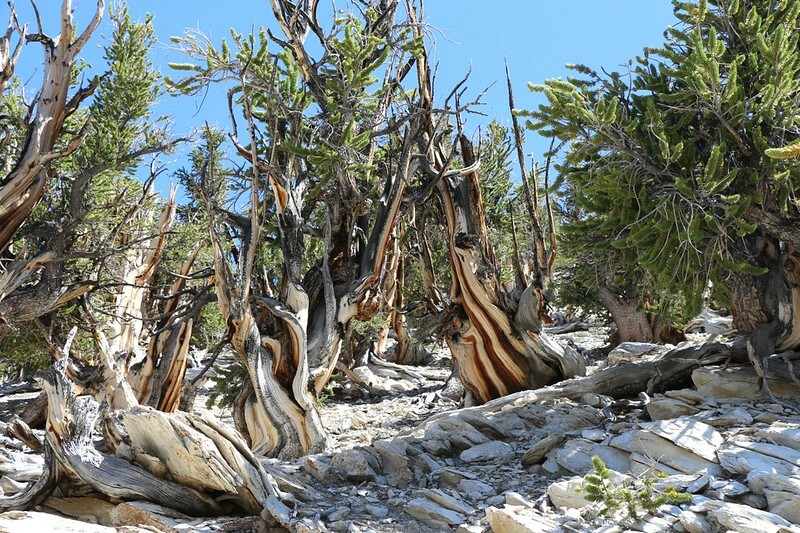 Inside, we learned quite a bit about the bristlecone pines as well as the ecology and geology of the area. Then it was time to start hiking. They had three trails available, but the choice was a no-brainer for us. 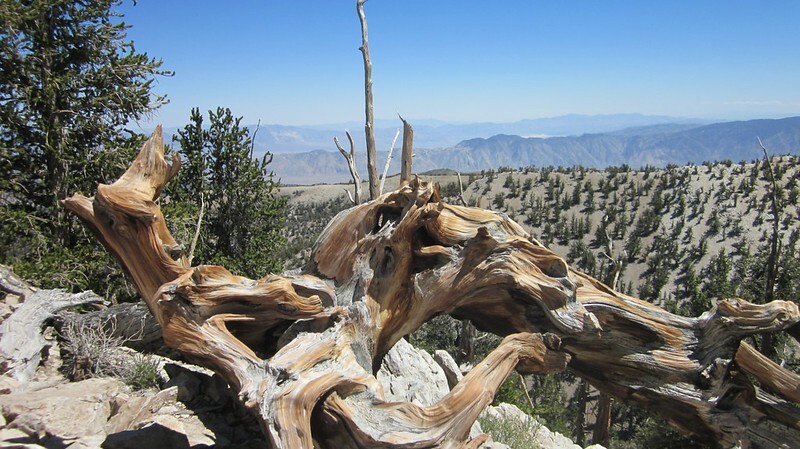 We took the longest one, but that wasn’t the main reason: The Methuselah Walk was also the trail that took you to see the oldest trees on Earth. This was why we were here, after all. 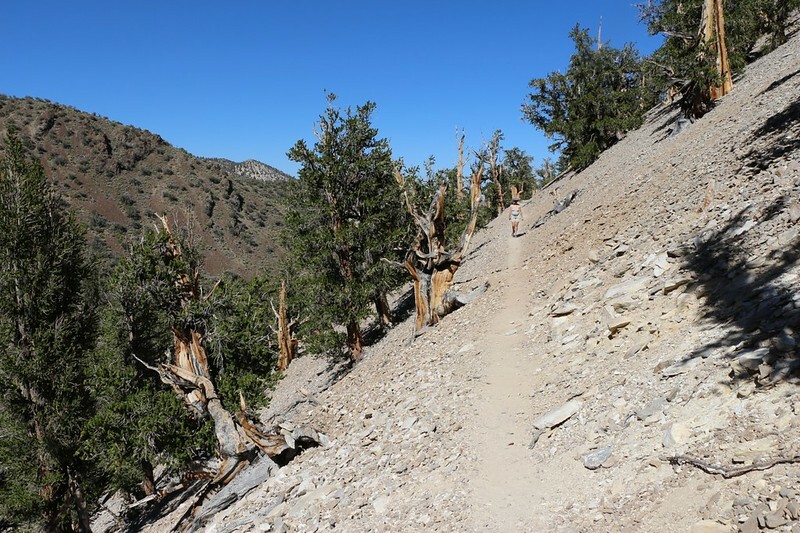 At first the trail stayed up high, traveling through a pleasant forest almost exclusively composed of bristlecone pines. 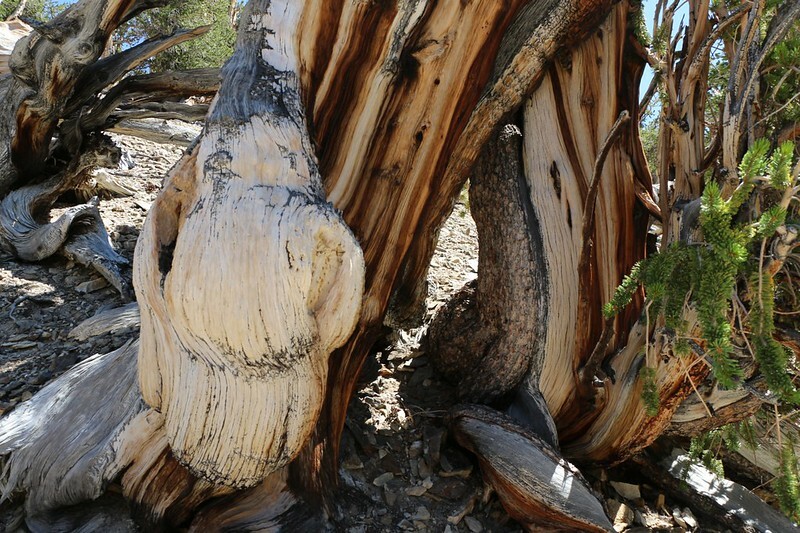 These trees often grow in crazy ways, with plenty of fun shapes. Some sections of the tree will die off depending on local physical and environmental conditions, but in other sections of the tree the living bark continues to grow and thrive in unusual ways. This is what leads to the amazing shapes of the trees. The conditions are so tough up here (a very short growing season) and the trees are so resin-filled that termites are essentially non-existent; this allows the dead sections to stay strong and supportive for centuries. This grove was surprisingly large, far larger than the Patriarch Grove we’d visited before. 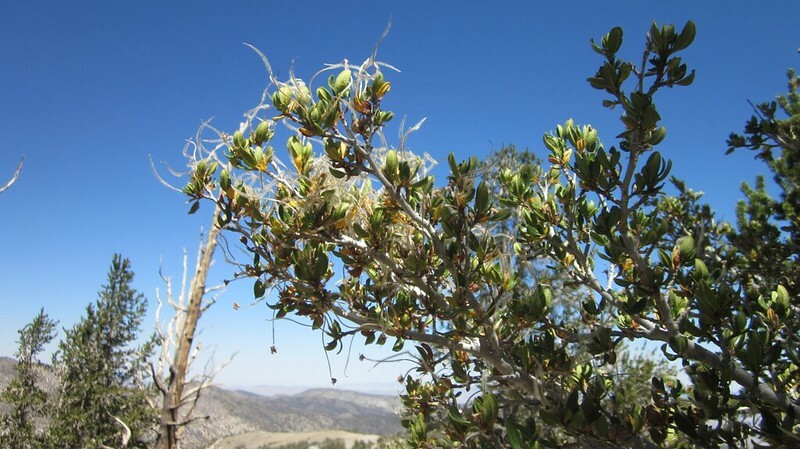 But even here the pines occasionally gave way to mountain mahogany plants, and when that happened we noticed that the ground was reddish in hue. 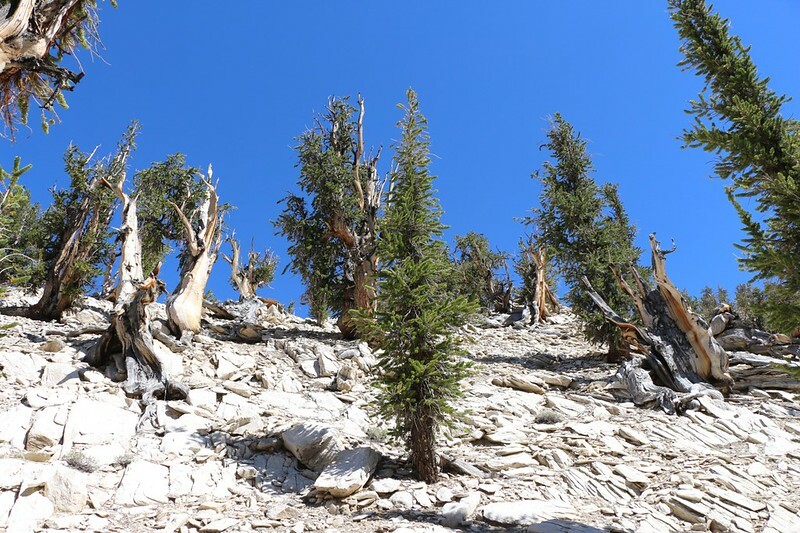 It was no longer the white dolomite (limestone) that the bristlecones preferred. 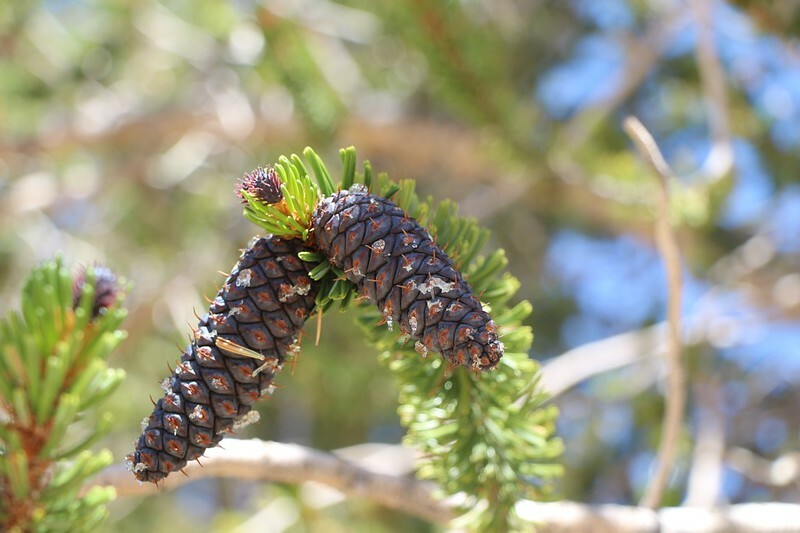 Indeed, the bristlecones seemed to grow exclusively in the limestone regions. Bristlecone Pine pinecones. Yes, they actually have bristles! 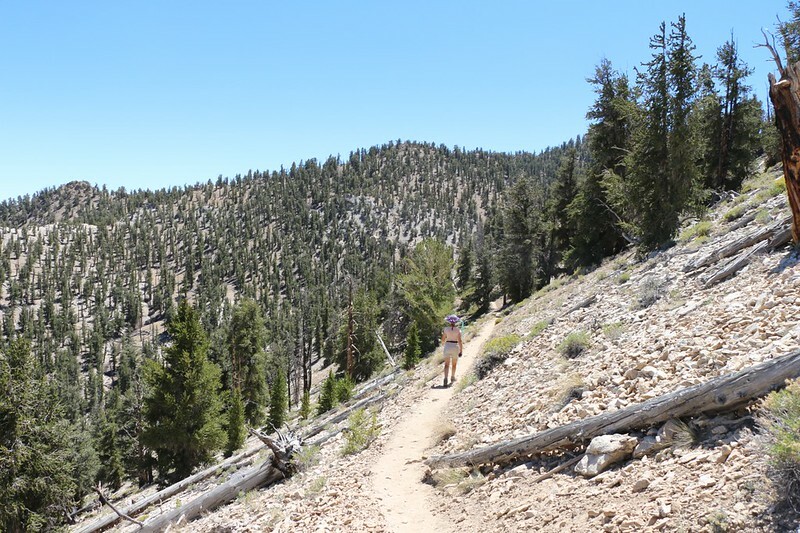 Hiking through the Bristlecone Pine grove. More like a forest than a grove. Eventually we rounded the corner and proceeded downhill to the zone that contained some of the oldest trees. This was where the most amazing shapes and forms and colors were to be found. We passed by several serious photographers with their tripods and fancy lenses, all trying to get that perfect shot. I respected them for it, but I fully realize that I am, and will remain, strictly an amateur photographer. I don’t have the patience to do all that work. My technique is more of a “shotgun” approach, in that I take lots and lots of photos, and hope that a few of them will come out halfway decent. Those few shots are what you’re seeing here, and they are admittedly nowhere near the quality-level of the professionals. But that’s OK. I get to do a lot more hiking than they do. 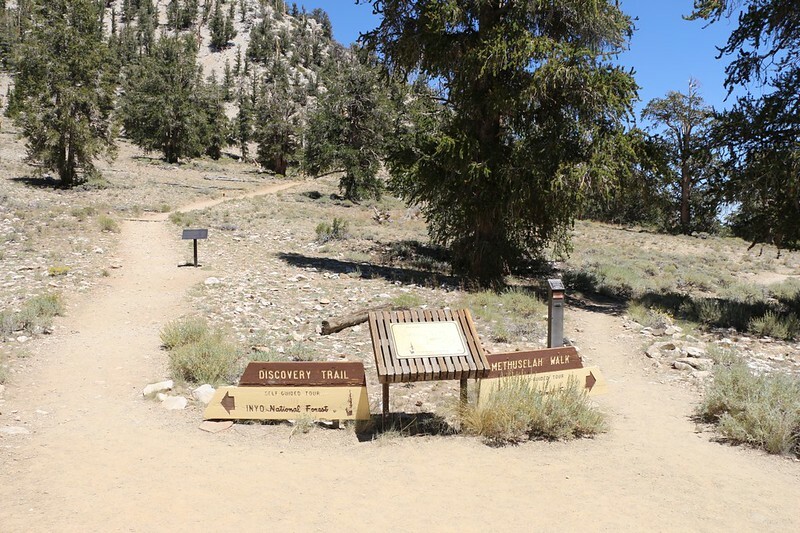 Eventually the map and trail markers indicated that we were in the heart of the Methuselah Grove, where the most venerable of the Ancient Bristlecone Pines lived. The park authorities decided not to label the actual Methuselah tree (to protect it from vandals) so we have no idea if we saw it or not. This area was on a small, isolated ridge of the purest white limestone, where erosion around the tree’s roots would be minimal. 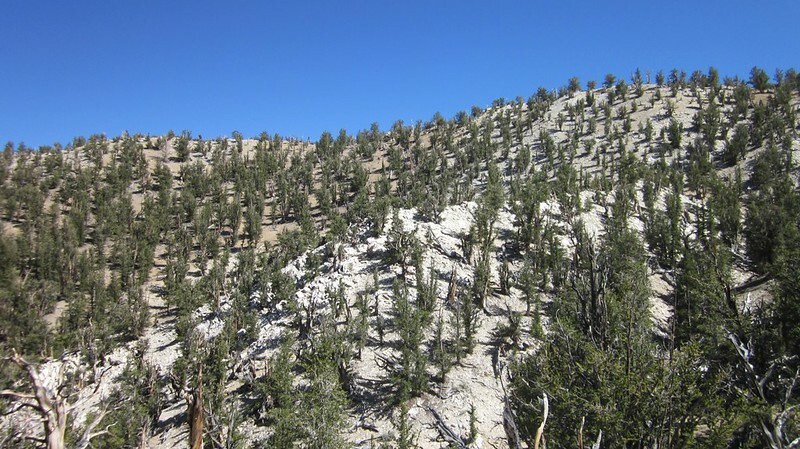 The minerals and rainfall available would be minimal, as well, which goes along with the theory that the oldest of trees grow very little each year. 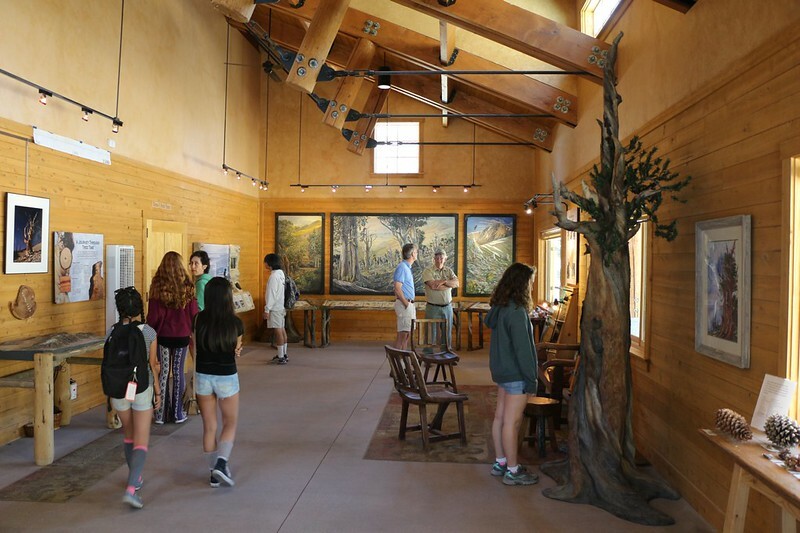 “Grow slow, grow old” is what they said up at the visitor center. The other trees all over the rest of the grove had better conditions for rapid growth, and only lived for a century or two. 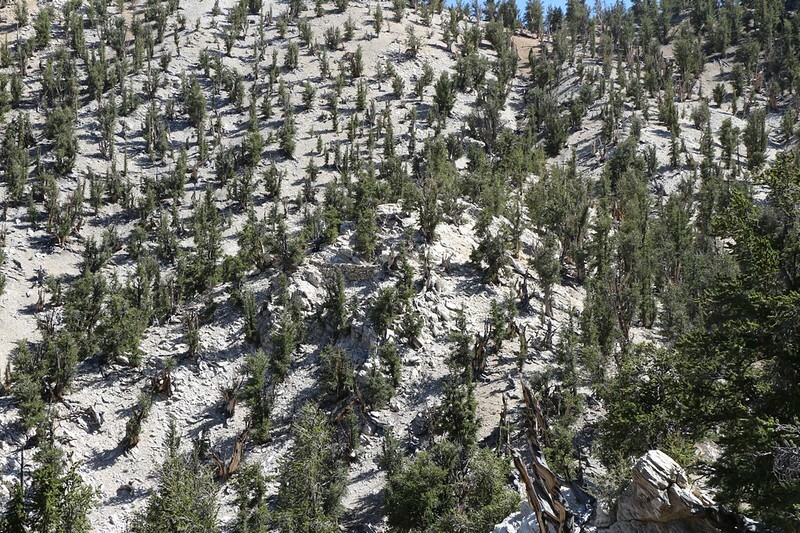 The trees on this barren ridge were stunted into what might be termed a form of suspended animation. Truly an extraordinary adaptation to harsh conditions. After that, the rest of the hike was a denouement, at best, as we’d already seen the best part of the trail. We still enjoyed it, however, but our main goal was hiking back to the car. We had plans to cook one last freeze-dried meal right there in the parking lot, as the nearest restaurant was over an hour away, back in a hot, dusty town. Dining here among the old-timers seemed to be a great way to enjoy their company, and to contemplate their long journey across the years. 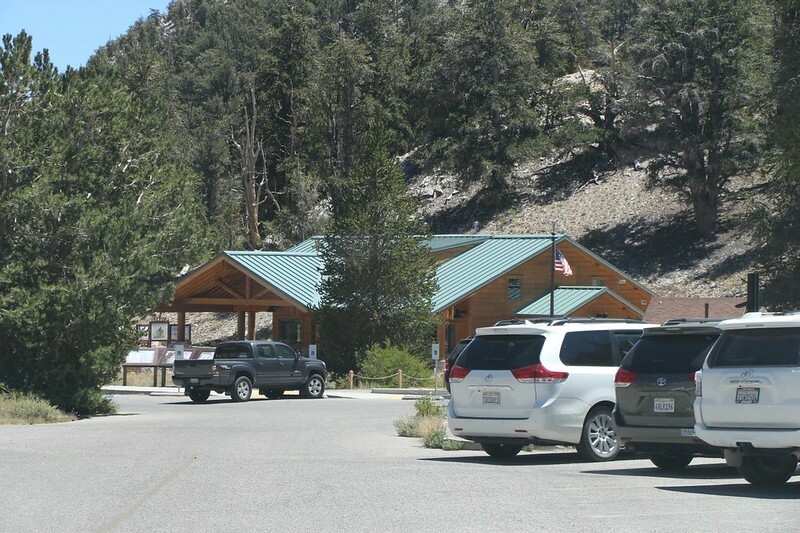 Back at the Schulman Grove Visitor Center. Time for some dinner before the long drive home.